Looking for a USED 6S? TENGZHOU ROOY CNC MACHINE Co., Ltd. is integrated in the year 1988 as the milling machine manufacturer and exporter. 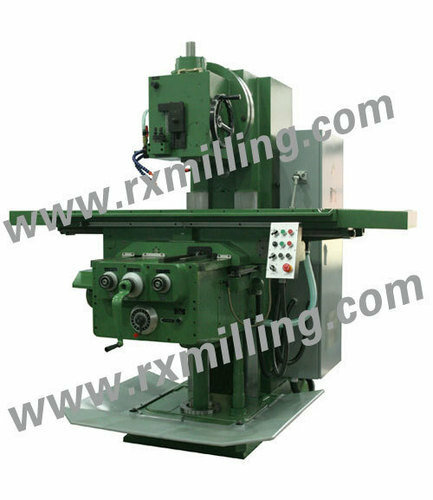 The company comprises 2 milling machine factories,1 radial drilling machine factory and 1 business company. It has around 800 workers and staff members consisting of 50 technicians and 36 experts.The factory is specialized in the production and export all kinds of milling machine、drilling & milling machine.. Its trade Mark of ROOY enjoys high Reputation both at home and abroad. It has successfully passed ISO9001 Quality System Certificate, and honestly commits to quality regulation of all product. Looking to Purchase a New ROOY 6S?